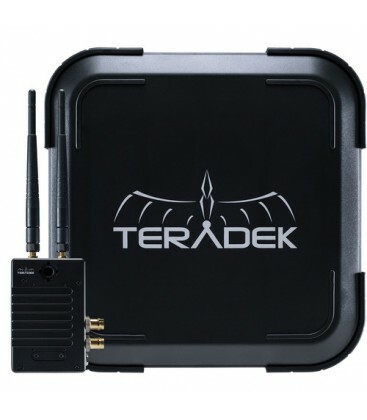 The Teradek Bolt 3000 XT 3G-SDI/HDMI Wireless Transmitter and Receiver Set includes one transmitter and one receiver. This enables you to immediately start transmitting up to 1080p60 video from either an SDI or HDMI source. The zero latency transmitter receiver pair features 3000' line-of-sight transmission distance when used together. You can send and receive visually lossless 3G-video signals from a Bolt 3000 transmitter with zero latency. The transmitter features cross conversion, so you take an SDI signal in and loop out either an SDI or HDMI signal to your on-camera monitor. The receiver also features both SDI and HDMI outputs, and the system supports digital SD and HD signals. Although the inputs and outputs support a variety of HD signals, in both 50 and 60 Hz standards, as well as 480i and 576i. However, 480p and 576p are only supported via HDMI. 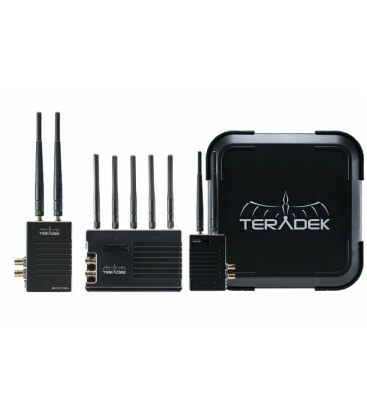 You can transmit up to three other receiver models such as Bolt 3000 XT, Sidekick II, or 703 Bolt 703, and the transmitter can support up to four receivers. The built-in AES 128-bit encryption helps to keep your transmitted video safe from prying eyes. 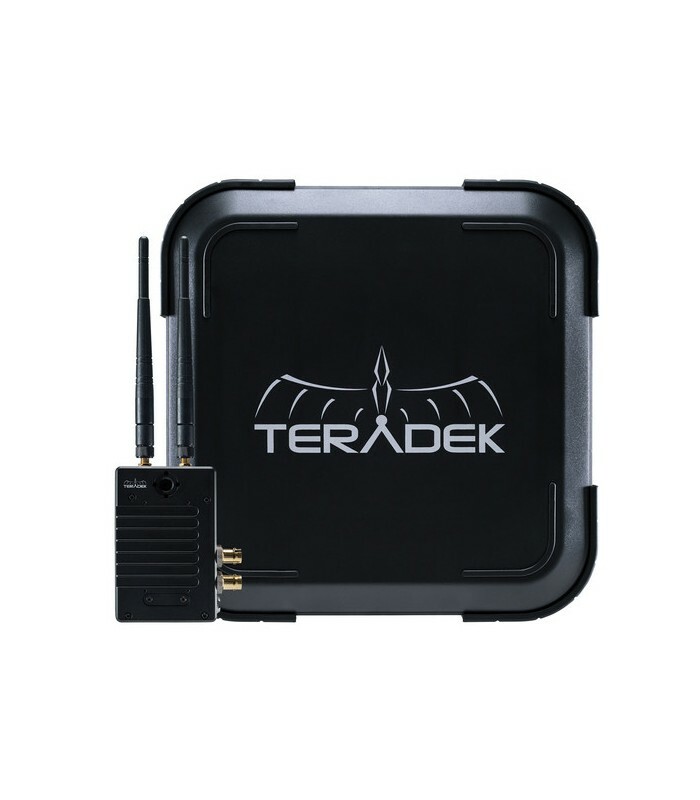 With the Teradek Bolt 3000 XT 3G-SDI/HDMI Wireless Transmitter you can transmit visually lossless 3G video signals to a Bolt 3000 receiver with zero latency. The Bolt XT is also compatible with the Sidekick II and 703 Bolt. 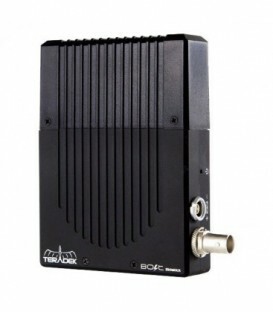 The transmitter unit itself can be secured to a camera or other SDI/HDMI video source via a built-in 1/4"-20 threaded hole, as well as two M3 threaded holes. The included antennas provide a powerful signal that can travel up to 3000' line-of-sight. A shoe mount is included for attaching to cameras without 1/4"-20 threads. For convenience, both a standard BNC cable and HDMI cable are included so you can plug in right out of the box. Power can be provided using the integrated 2-pin connector via the included D-Tap power cable. The transmitter supports up to four receivers and built-in AES 128 encryption protects your video from prying eyes, while noise rejection helps keep your video clean even when working around 2.4 and 5.8 GHz signals. 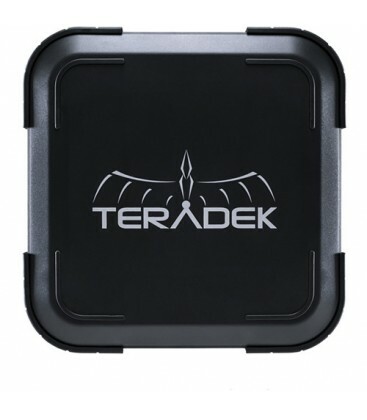 With the Teradek Bolt 3000 XT 3G-SDI/HDMI Wireless Receiver you can receive visually lossless 3G-video or HDMI signals from a Bolt 3000 transmitter with zero latency. The receiver unit itself can be secured via built-in 3/8"-16 M3 threaded holes or the built-in NATO rail. A lightstand adapter is included for mounting on stands. For convenience, a standard HDMI cable is included, so you can plug in right out of the box. Power can be provided using the integrated 2-pin connector. A D-Tap power cable is included for attaching to a battery. The receiver can share the transmitter with up to three other receivers. It features built-in AES 128 encryption that protects your video from prying eyes, while noise rejection helps keep your video clean even when working around 2.4 and 5.8 GHz signals. 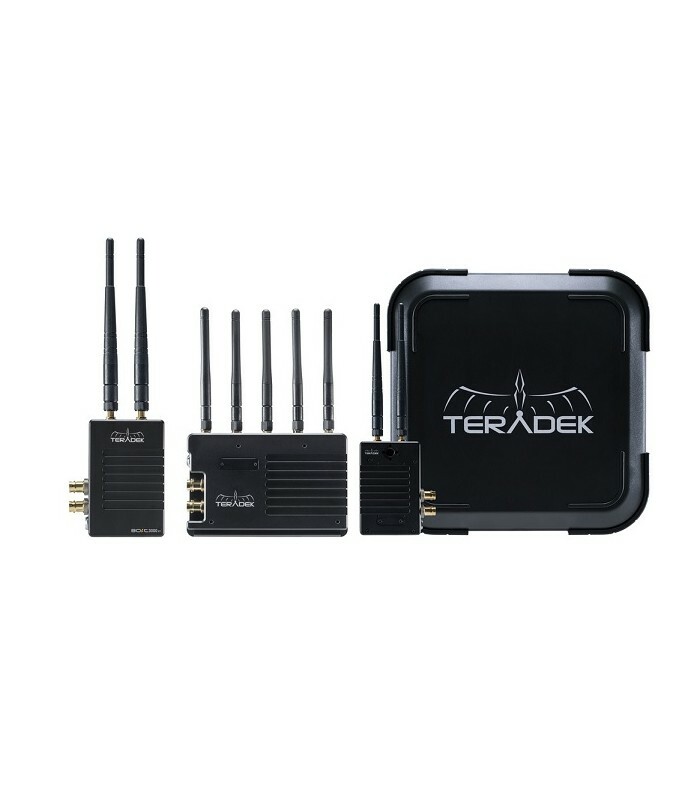 - The receiver includes built-in cross conversion and Teradek's proprietary software utilities, including a manual frequency-selection tool, 3D LUT engine, and a 5 GHz spectrum analyzer to keep an eye on interference in your area. 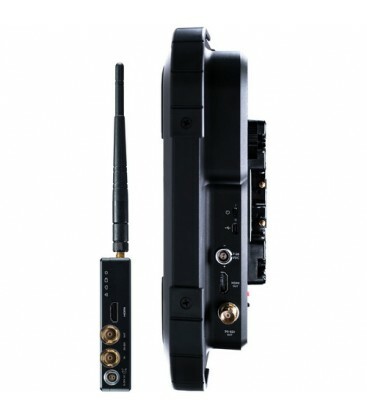 - The receiver features an HDMI output as well as dual 3G-SDI outputs. - An integrated NATO rail on the receiver, along with several M3 mounting points, and an ARRI compatible 3/8"-16 threaded hole with locating pin holes provide for multiple mounting options. - SDI ancillary data support: supports metadata, timecode, and start/stop flags from certain camera manufacturers. Supports metadata, timecode, and start/stop flags from select camera manufacturers. This Bolt 10K 3G-SDI/HDMI Video Transceiver Set includes one transmitter and one receiver with installed V-mount. This enables you to immediately start transmitting up to 1080p60 video from either an SDI or HDMI source. The zero latency transmitter/receiver pair features a staggering 10,000' line-of-site transmission distance when used together. You can send and receive visually lossless 3G-video signals from a Bolt 3000 transmitter with zero latency. The transmitter features a loop out SDI connector so you can feed your on-camera monitor. 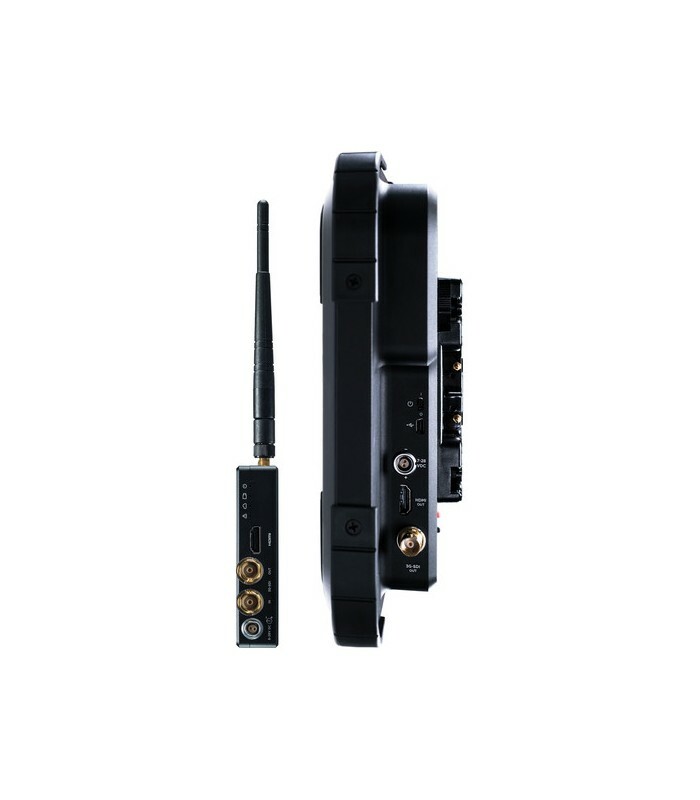 The receiver has a factory installed V-mount battery plate and features both an SDI and HDMI output. The system supports digital SD and HD signals. Although the inputs and outputs support a variety of HD signals in both 50 and 60 Hz standards, 480i and 576i & 480p and 576p are only available through the HDMI output. You can transmit up to three other Bolt 3000, Sidekick II, or 703 Bolt receivers, as the transmitter can support up to four receivers. The built-in AES 128-bit encryption helps to keep your transmitted video safe from prying eyes. 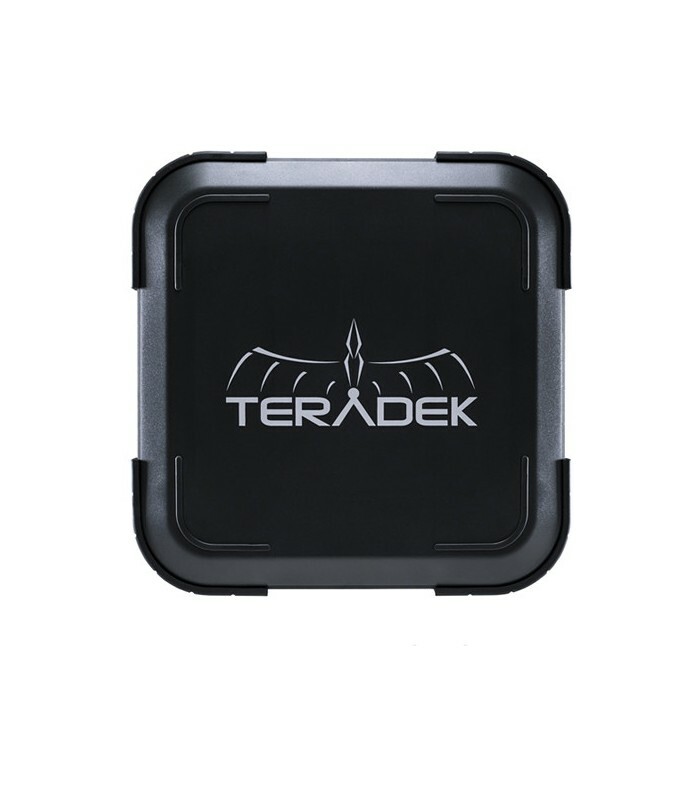 The Teradek Bolt 10K Wireless Receiver can receive an HD or SD video signal from a Teradek Bolt 3000 transmitter up to 10,000' away. Both SDI and HDMI outputs are available on the receiver, and incoming HDMI or SDI signals can be converted to either output. SDI metadata from many popular camera brands is supported, and passed through to outboard monitors or recorders. As part of the Bolt series, the Bolt 10K receiver works seamlessly alongside Bolt 3000, Sidekick II, and 703 Bolt gear. Power can be supplied via the included AC adapter, or, if you're in the field, a V-mount battery on the integrated battery plate. An SDI cable, HDMI cable, USB cable, and light-stand mount are included, and everything fits inside the custom hard case. Apply the look you're after directly to your wireless video feed using Bolt's integrated 3D LUT technology. Upload your own LUTs using the free Bolt Manager software or select from a number of built-in presets using Bolt's OSD. Bolt's USB 3.0 output makes it simple to ingest a video feed directly into a computer or your DIT cart without any added delay or loss of quality.